If you wish to invest successfully, you are required to have a certain degree of understanding of different investment opportunities. The majority of the people let their investment advisors take the decisions on their behalf. However, they are responsible for the future security of their finances. Therefore, it is the investor’s ultimate responsibility to get an understanding of different financial securities and to account for the risks and rewards associated with their investments. Options and Stocks are two different types of financial instruments. Although, both of these securities are traded in the same way, yet, there is a difference between these securities, and before understanding the difference between these securities, let’s look at what these instruments are. Stock is a type of financial instrument, which shows ownership in a business, and also signifies a claim on the assets and profits of a business. These investments form the basis of almost every portfolio, and are considered as reliable long term securities. Options, on the other hand, are derivatives. Derivatives are a type of securities that derive their value from underlying assets, such as currency, stocks, precious metals or commodities. Options provide the right to a buyer, and not the obligation, to sell (through put options) or buy (through call options) financial assets or securities at a specified price, also known as a strike price, during a certain time frame. It is used to hedge the market risk associated with the price of an asset. The option holder can take advantage of the leveraged profits, for example, if a price of a stock increases by 1 percent, the price of options can be expected to increase up to 10 percent, which is 10 times more than the price of a stock. In order to earn profit from a decline in stock prices, traders can short these financial instruments, which usually results in suffering unlimited losses and margins if the price of a stock increases again. You can only short a stock with the margin enabled trading accounts. On the contrary, when you trade options, you can earn profits even from a decline in prices of underlying securities by purchasing a put option. The value of put options increases as the value of underlying security decreases, so an option holder can take advantage of declining prices as well. When you purchase put options, you do not have to pay any margin, and the losses are limited up to the price of an option that was paid to buy these securities. Options have a specified frame of time, and it can only be held by an option holder until the time of expiry. Whereas, in case of stock, if you take a long or short position, you can keep it for an indefinite period of time. With the variation in the price of a stock, the price of options also varies, but the variation in the value of options is relatively low. The degree of how closely variation in the price of an option matches with the stock price variation can be measured by a strike price that is defined in the options contract. The main reason why most of the option holders end up losing all of their investment in a very short period is because these derivatives end up with a worthless expiry if the underlying security doesn’t perform as expected within a specified time. This is why trading of these financial instruments is considered a high risk-high profit activity when you speculate them without hedging. However, when you buy stocks, you can keep these securities in your portfolio for as long as you want if its price doesn’t move in the upward direction. You can always benefit from the increase in a price of stock even if it takes a few years to happen. Hira Waqar. "Difference between Stocks and Options." DifferenceBetween.net. 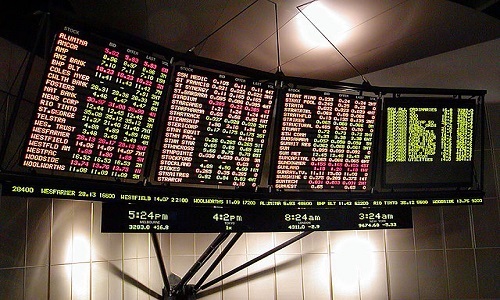 November 9, 2015 < http://www.differencebetween.net/business/difference-between-stocks-and-options/ >.